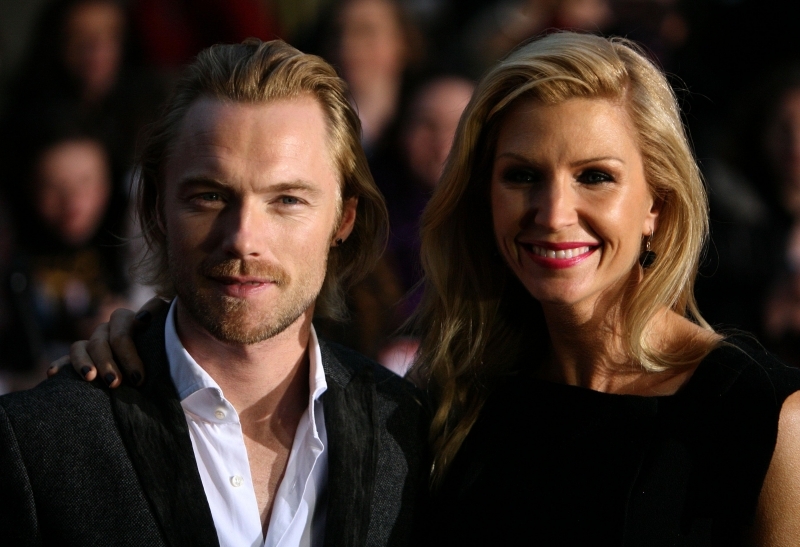 Ronan Keating's 'affair with dancer Francine Cornell has been going on for 7 months! Ronan Keating's affair with backing dancer Francine Cornell has been going on for seven months, the Sunday Mirror has claimed. The Boyzone star is said to be 'besotted' with Francine and was even considering leaving his wife Yvonne for the dancer after the pair met on tour, according to the newspaper. Francine, 26, ended her relationship with long-term boyfriend Nick Robbins in October after she was bombarded by text messages sent by Keating, the Sunday Mirror reports. Ronan's alleged affair with a dancer on tour was revealed when his wife found texts from her on his secret mobile phone. And while Yvonne is determined to end her marriage, the Boyzone star has visited the family priest to ask for forgiveness and is desperate to win her back. His wife of 12 years, Yvonne discovered the second phone and decided to go through the messages. Yvonne, 36, has now reportedly thrown the singer out of the family home and pictured yesterday without her wedding ring, she appears to be serious about ending the relationship. When she arrived at the couple's new home yesterday - which is still in construction - an onlooker said: 'She looked pale and tired, but resigned. And she had obviously planned her appearance carefully because her wedding ring had been very pointedly removed,' they added. This was the former model's first public appearance since the Keatings' announced their separation on Thursday. Eyes hidden behind a pair of dark glasses, Yvonne surveyed the property - which is just down the road from the couple's existing home outside of Dublin - perhaps in a bid to lay claim on it. The mother-of-three is said to be devastated over the shock revelations of her husband's behaviour. According to sources, he and Cornell's blossoming friendship was the 'talk of the tour'. Last night Keating moved out of the family home he shared with his childhood sweetheart.Dressed casually in a pair of designer jeans and a jumper, the singer looked drained as he headed to his car. The star dared to give one last backward glance at the house before his driver pulled out of the driveway for the last time. Yvonne, spent yesterday being comforted by Keith Duffy’s wife Lisa and a neighbour over a cup of tea inside her home. Friends have been left reeling since news of their split emerged just before lunchtime yesterday. In a statement yesterday, the couple said their split had been ‘amicable.’ And the couple remained together in the house for most of the day as they shielded their family from the media glare surrounding their split. Seems is happening to anyone lately, so sad... men are dogs..so beter use them as well!